A University of Queensland researcher has uncovered how a French scientist and ibis researcher conducted the first test of evolution more than 50 years before Charles Darwin's Origin of the Species. 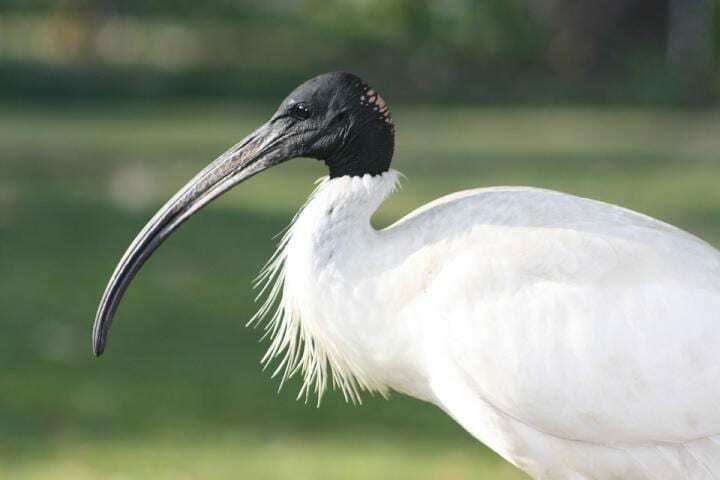 UQ Centre for Policy Futures researcher Dr Caitlin Curtis has found that the sacred ibis – a cousin of the Australian 'bin chicken' – became central to the history of evolution when several mummified birds were taken from Egypt to France in 1798. "The ibis mummies were taken by Napoleon's army to Paris, and played a surprising role in an early debate about evolution," Dr Curtis said. "Two naturalists, Georges Cuvier and Jean-Baptist Lamarck, disagreed about the significance of the mummified Egyptian sacred ibises. "Cuvier took careful measurements and determined that no changes had happened when comparing the mummified birds against modern specimens. "He went on to conclude that this was proof that species could not change over time, opposing the emerging evolutionary ideas of Lamarck." "This was significant at a time when evolution was not yet an idea," Dr Curtis said. "Cuvier was a prominent scientist who had a lot of voice and power within society, and he continued the debate through to Lamarck's death – even criticising Lamarck's belief in evolution at his eulogy – setting back the idea for decades." Dr Curtis said it was a striking example of a powerful – but incorrect — scientist controlling the debate. "This story and the lessons from the sacred ibis are as relevant today as they were 200 years ago," she said. "Confirmation bias, where researchers' work is negatively affected by pre-existing biases and ideas, is still an issue within the scientific community. "This is a reminder that now, as much as ever, we need to be aware of confirmation bias, and the detrimental impact that dominant personalities can have on science." Dr Curtis's research, in collaboration with Professor David Lambert from Griffith University and Associate Professor Craig Millar from the University of Auckland, are published in PLOS Biology (DOI: 10.1371/journal.pbio.2005558).